A gift Mr. Hall, Thanks for the generous contribution to the Wetwebmedia website. I'm glad to hear of it's inspirational effect on you. The Wetwebmedia crew also takes pride and gets satisfaction from stories like yours. A snap shot of the future, DO look at this! Re: Yes, we have a new marine top shared border sponsor! And New Book That's great news concerning the new sponsor. The only problem with the ad is that it is too wide. When we got our other top shared border sponsors we emphatically told them that their ad could be no larger than 150 pixels wide. The PAfarms ad is 250 pixels wide. I think that if the other sponsors notice this they'll want larger ads too. I have included a cropped version of Walt Smith's ad that is 164 pixels wide (see attachment). Mike Kaechele mike@wetwebmedia.com Robert Fenner <fennerrobert@hotmail.com> wrote: All, Deb and Walt Smith of numerous ongoing businesses in our interest have stepped up to the plate as of yesterday... with a new banner ad for their Pacific Aqua Farms site/company. They're moving to a facility of five times their current use (soon to be 15,000 square feet) for a few operations (live coral wholesale/distribution, making of live rock supplements, sale of fabulous faux corals...)... And on Steve and Anthony (and Di's) visit to L.A. yesterday, Chris Bruenner of Quality Marine approached us with a desire to chat over adding their banner... So, things are looking up on that front. Esteban, Antoine y moi are settling on our first topic for a book title: "Everything we hate about that obnoxious, pompous. 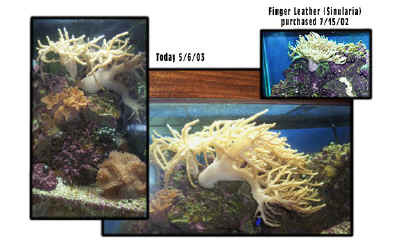 A fat boy Ron.S that we'd like to straighten out" or, "The Best Invertebrates for Marine/Reef Aquarium Use". Look for it most everywhere in a few months.